Vast Islamic mosque in Regent's Park. With its huge, gold dome, the London Central Mosque gleams out above the dense green canopy of Regent’s Park. 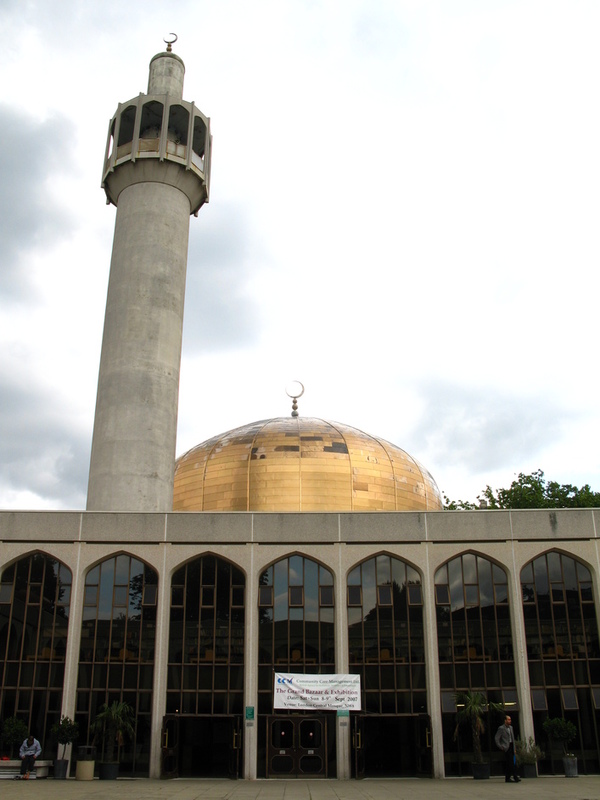 Designed in 1978 by Sir Frederick Gibberd the mosque is linked to the Islamic cultural centre and continues an active and popular place of worship for Londoners. Inside, the centre’s appeal rests mainly in its simplicity (a huge chandelier and expansive carpet form the only real furnishings), its cavernous space and meditative atmosphere. Shoes are not allowed in the mosque and, as different sets of bare or stockinged feet pad gently along the floor, an air of contemplative calm pervades. The main hall can hold over two thousand worshippers – and regularly does. Visitors are, however, still warmly welcomed. Please note: there is a separate gallery for women, who must cover their heads. Quiet appreciation of both Islamic faith and architecture. What are the best dining options near London Central Mosque London? London Central Mosque gyms, sporting activities, health & beauty and fitness. The best pubs near London London Central Mosque. London Central Mosque clubs, bars, cabaret nights, casinos and interesting nightlife. Where to have your meeting, conference, exhibition, private dining or training course near London Central Mosque. From cheap budget hotels to luxury 5 star suites see our discounts for London Central Mosque hotels, including Danubius Hotel Regents Park from 0% off.